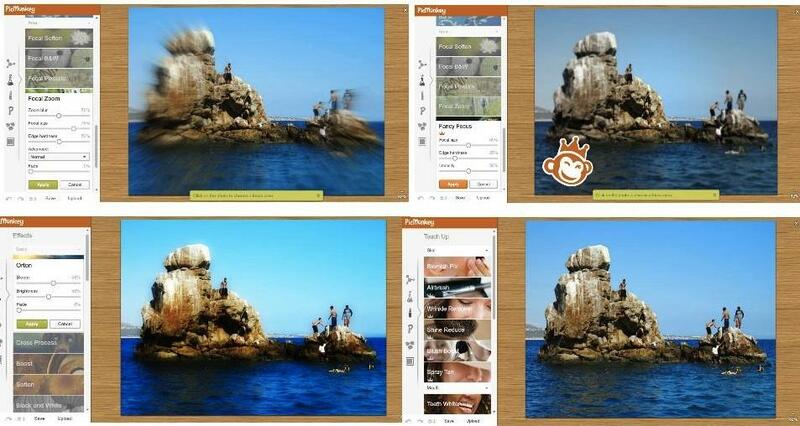 A few months ago, Google folded its Picnik photo editing application. The tool was woven into more than one photo-sharing platform and was one of the most-used free, easy editing and filter services out there. Some of its features were integrated into the Google+ photo client, but for the most part we simply had to bid adieu to Picnik. Of course there are other options out there, including Aviary and Pixlr-o-matic. And now you can add PicMonkey to the bunch. The application was made by Picnik engineers, and there is a very subtle similarity in the UI and some of the available features. Other than that however, PicMonkey easily manages to outdo the now-defunct service. The entirely Web-based editor is fast and effective, and the cleanest interface for a photo editor (Web or desktop) that we’ve ever seen. In the far left-hand column, you’ll see all of your options, and selecting one will reveal what’s in its respective toolbox. And that includes everything from basics likes cropping and rotating to a full array of air-brushing edits. In true Picnik form, you can also add icons and text and throw a frame around a photo. When will Microsoft and Apple start packaging their operating systems with a photo client like this? Web options are far-and-away outdoing anything OS-makers are shipping with new computers, and that’s pretty disappointing. Any photo editor worth using either costs something or can be found online for free — the ones that you find in your new system pale in comparison. And on the Web front, it’s shocking that Facebook hasn’t scooped up something like this already. The social network continues to improve its photo viewer, but still hasn’t implemented an editor of any kind. Until that happens, we highly recommend giving PicMonkey a whirl. Any pain from missing Picnik will be swiftly relieved.